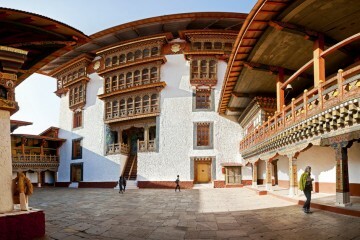 The Himalayan Kingdom of Bhutan is a world unto itself, and the food from the country is a strong part of that world. 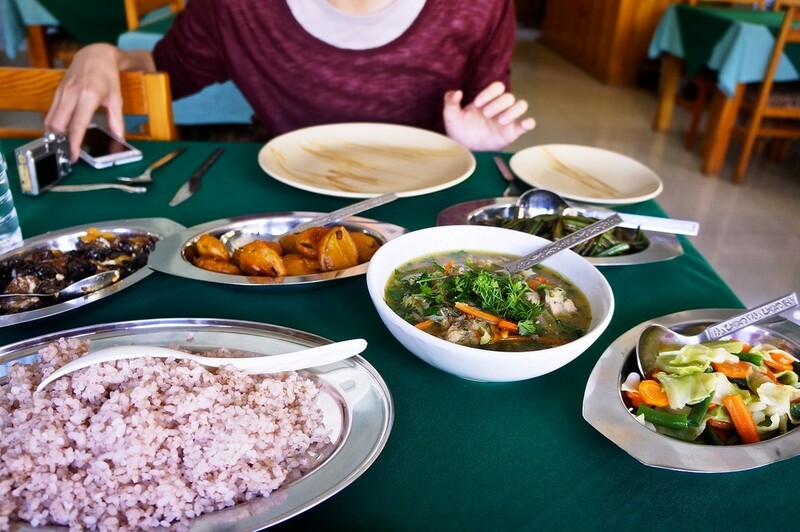 Though Bhutan serves a variety of cuisines–such as Indian, Tibetan, Nepali and Chinese–for travelers seeking somewhat familiar tastes, the country’s own food is as delicious as it is distinct, offering the curious and hungry a meal to remember. Unpolished red rice (or brown rice as some people know it) with dishes of vegetables, chilies and meat are staples of the typical Bhutanese meal. It sounds simple enough, yet its striking flavors render this cuisine remarkable. A walk through a local farmer’s market in any of the towns of this mountainous country reveals that this is one prominent ingredient in the kitchen. Chilies–green or red and dry or fresh–are added to dishes to make for some hearty flavors, but this is not their only function. Chilies in Bhutan aren’t merely additions to a dish; in several cases, they are the main ingredient itself. They are also used to flavor-packed sauces, of which a teaspoon can be enough to change the taste of what it is added to. Ema Datshi, a dish consisting of cheese and chili, is considered to be the national dish of Bhutan. Though the dish is commonly found across Bhutan, its taste can vary. Expect some variations with this dish. Some people prepare the dish with a creamy consistency, while others make this a broth-style cheese dish. Though chilies are the main vegetable on this dish, it is not intolerably spicy. The seeds of the chilies are removed before they are added to the gravy, and most restaurants do prepare the dish with tourists’ chili-sensitivity in mind. Bhutanese cuisine caters very well to meat eaters, with pork and beef commonly available, along with chicken. Some of the classic meat dishes of Bhutan use pork as a main ingredient. There are a number of dishes made with a dried variant of beef known as Shakam, which is another highly recommended form of meat to try. Shakam Paa is one such commonly found beef dish. It is made with dried chilies and a vegetable or two, such as radish. One meat that can be called a Bhutanese staple is yak, which is also prepared in similar ways to beef. Those who prefer eating chicken can also find a few Bhutanese specialties to try out. A dish named Jasha Maru is defined by its special ginger taste. 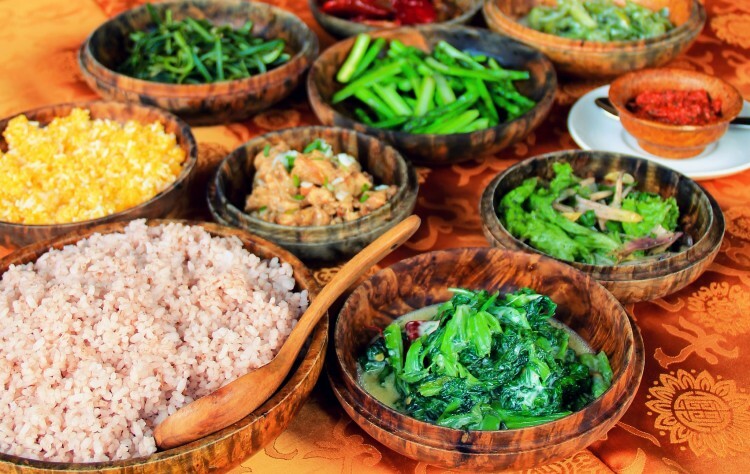 For vegetarians, Bhutanese cuisine can be as exciting it is for non-vegetarians. The delicious Ema Datsi comes in different versions wherein vegetables are added to the mix. Expect to find Shamu Datsi with mushrooms, Kewa Datsi with potatoes and many other styles with spinach, asparagus and other such ingredients added. There are also leafy vegetables available, sometimes cooked in a soup-like form known as Jaju. An interesting thing to try out is the dried yak cheese, which come in small cubes that last for hours before breaking down in your mouth. Locals admit this a great way to pass the time, if you do end up finding it between all the meals that await on a trip to Bhutan. 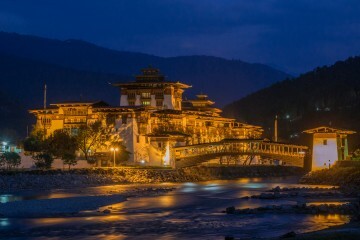 Bhutan Land of Thunder Dragon. 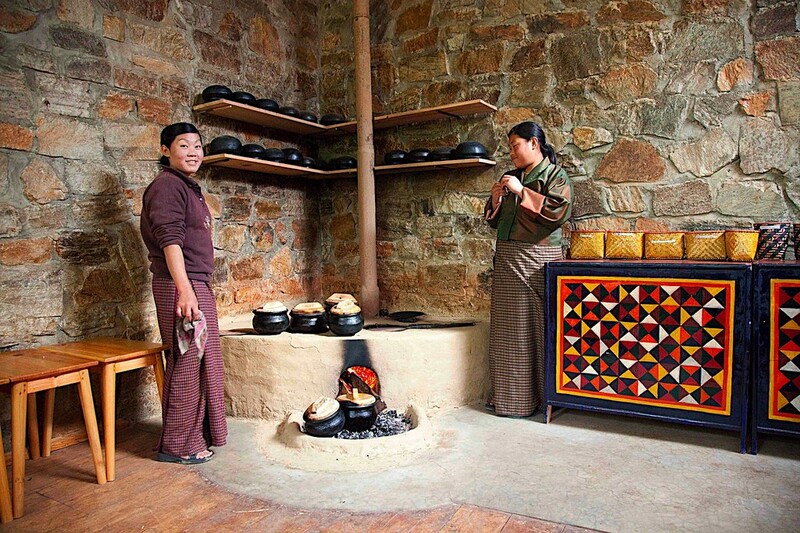 It sounds interesting to know about multiple cuisines of Bhutan. Appreciate it for sharing this wonderful post.